What every gold digger needs to get. 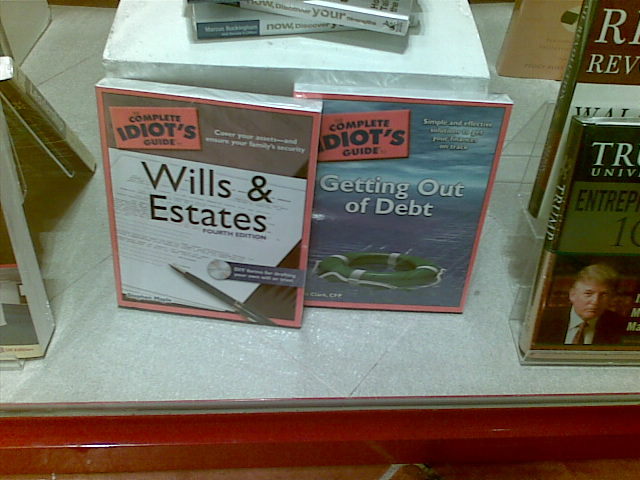 The Complete Idiot’s Guide to Wills and Estates. And when you have sucked your geriatric husband dry and have turned to more subversive methods to buy the new Chanel, The Complete Idiot’s Guide to Getting Out of Debt. The Complete Idiot’s Guide. Making gold digging easy as pie. i'm a fan of the whole series. haha i suppose that makes me an idiot. LOL. at least you're a complete idiot :p i only read one. creative writing. recommend anything?